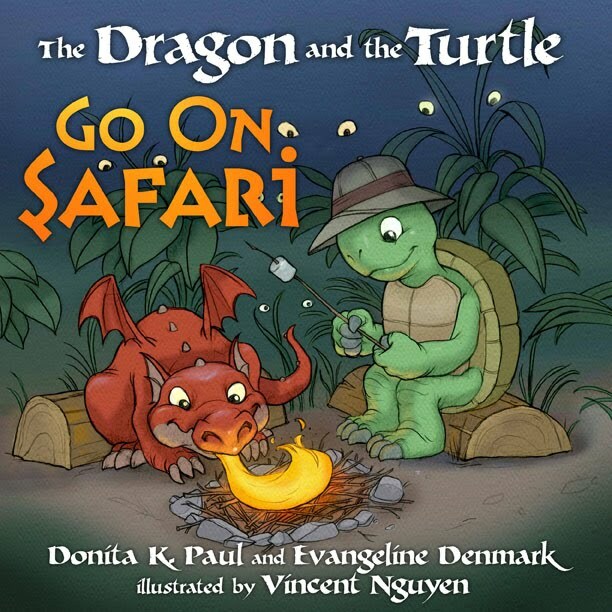 In the children’s book, The Dragon and the Turtle Go on Safari, Padraig the dragon and his best friend, Roger the turtle, are determined to spend the whole night outside camping. Pretending to be brave explorers, these two unlikely friends use their imaginations to have fun while munching on campfire favorites. However, when the night falls and the animals of the forest start invading their tent with noises, the two boys have to find the courage to tough out the night. In the meantime, they discover that their friendship is stronger than fear. 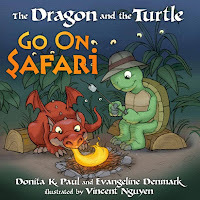 This book written by Donita K. Paul and Evangeline Denmark and illustrated by Vincent Nguyen is cute, entertaining, and teaches a valuable lesson: Courage and kindness. These two best friends never tease one another for getting scared or making mistakes and they encourage each other to be brave and stay in their tent for the night. They even find the courage to help out some new friends along the way. 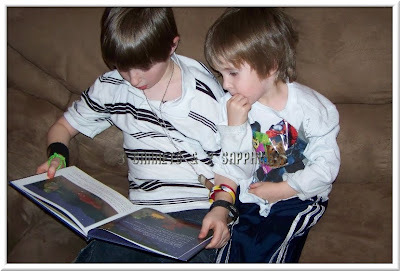 The writing was simple but exceptional and the kids 4 and up really enjoyed this story. It’s a little wordy for the younger kids, but most of them sat for at least a portion of it. The Dragon and the Turtle Go on Safari retails for $11.99 in hardcover and can be found online at Random House, Amazon.com, Barnes & Noble, and other major retailers of children's books. For a limited time, this book is available on Amazon.com for $8.63 and qualifies for Free Super Saver Shipping. Thank you to Random House for providing a complimentary book sample for us to base this review upon.